"Seeking inspiration from other industries or other companies demands hard work and insight. People need to understand exactly how and why their way of innovating is special, and thus grasp the key characteristic that defines their way of thinking and doing." The Disruption methodology, the central focus of The Ways to New, bridges the gap between marketing and innovation. Developed by advertising agency TBWA\Worldwide, the book covers a core part of their process that helps marketers drive innovation within their businesses. Owned by TBWA since 1992, Disruption is registered in 36 countries and includes a range of business-changing services including advertising, marketing, digital, books and training. The fourth book by author Jean-Marie Dru, The Ways to New explores 45 contemporary brands and companies—Lego, Netflix, Tesla, and Zappos to name a few—who have successfully disrupted and innovated their own industries, providing proven inspiration to businesses looking for new ways to grow. "There can be no greater marketing sin then underleveraging a brand." Using relevant case studies on companies from a range of industries such as Burberry, Airbnb, Alibaba and Salesforce, the book explains how businesses, who have successfully driven growth using innovation did not just limit their inspiration to the creation of disruptive products and services. Your brand is one of the most valuable assets your business has. ‘Disruptive Brand Building’ can help you to focus your marketing and advertising efforts in such a way that your brand vision is unmistakable. Recognised by your target audience, and, adopted heart and soul by your employees. Companies with a clear and defined idea of what their brand represents, are able to disrupt consumer categories and their competition. Gatorade sports drink for instance, is a brand that believes “athletic performance comes from within”. While Airbnb’s vision is to create a world of hospitality “where strangers don’t exist anymore”. Both are powerful, unique brand building concepts. In a digital world, filled with copycat products and services, plus numerous ways consumers can receive advertising messages from businesses, defining a strong brand vision that is communicated in conjunction with an innovative approach, may well be the new path to disruption you’ve been looking for. "Most people innovate against or for. When they think change is needed or they believe they have something new to offer." As a concept, ‘disruption’ in today’s business context often refers to start-up incubators and entrepreneurial ventures in the digital and tech space. This increasingly common, and, as Dru argues “narrow” view of the term may have led you to wonder how you can bring the idea of disruptive innovation into your organisation. The Ways to New, covers not one, but fifteen paths to innovation, almost all of which are digitally led. From popular Open disruption (crowdsourcing, community focused innovation) to Sustainability-driven disruption (social responsibility innovation), Asset-based disruption (infrastructure capability innovation), Business model disruption (transformation innovation) and more, it’s clear there is no shortage of ways to innovate. But which way suits businesses best? Well, particularly useful for getting started in defining an approach to driving innovation for any company, would be to apply TBWA’s specific three-step, “Convention, Vision and Disruption” method. Innovate for: Look for new ways your brand (vision) could provide a path to innovation. Innovate against: Identify the rules, practices and conventions in your industry. As many as possible, no matter how seemingly insignificant. Any of which could be the launch pad for innovation. Innovate with: Dream up unlikely partnerships. Impossible or unexpected joint ventures with other traditional and digital organisations who are also set for innovation. Whether innovating for, against or with, another useful supporting technique that will help your ‘way to new’, is to visualise (or even better, draw) three concentric circles, one inside the other. Ok. These represent your business. The centre circle represents your product, the next circle holds your business model; leaving the biggest circle to represent you marketing and advertising functions. No matter which way you begin to innovate, remember that these 3 key elements of your business should remain at the heart of all your innovation planning. "These questions are thought-provoking, often intrusive, but at the same time, if you look at the whole run of them, they will give an impression of being erratic, even incongruous and with no way of logic." A “beautiful question”, according to acclaimed author Warren Berger, can change the way we look at or consider something. In The Ways to New, these type of situational questions are defined by Dru as “What If” questions. The conception of your “What if” question should be specific to people who have a complete understanding of your business or the situation. The relevance of the “What if” question should be able to be understood by anyone, regardless of their involvement with your business or the situation. So this means, as you and your team start developing a disruptive, high-impact innovation strategy, you should make sure your brainstorming platform is a) inspired by real issues and events impacting your business, and b), that the unique idea pool you generate makes logical sense to stakeholders, potential partners and collaborators even if they are outside your business and/or industry. The importance of marketing appears to have declined over the years. 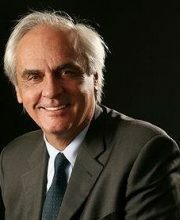 In The Ways to New, Author Jean-Marie Dru shares his agency’s long history of working with CEO’s who were uncertain of the contribution of marketing to the overall company strategy, then, with focus, disrupted their own business models and industries by bringing marketing and innovation back together. Rich with real-life case studies, this book will have you discovering ideas and questions about your own business you never dreamed of asking… until now.